A worthy tribute to Carrie Fisher, Princess Leia and the saga's landmark anniversary, Claudia Gray returns to the STAR WARS book franchise, bringing her commendable characterisation skills to bear once more in capturing the essence of Carrie Fisher's portrayal of the classic heroine, this time in a pre- A New Hope time: Leia's younger, to-be-defined years as a Princess and Rebel cell leader, as Leia: Princess of Alderaan becomes another must-have book for any Classic STAR WARS fan's collection, out now in the UK from EGMONT. 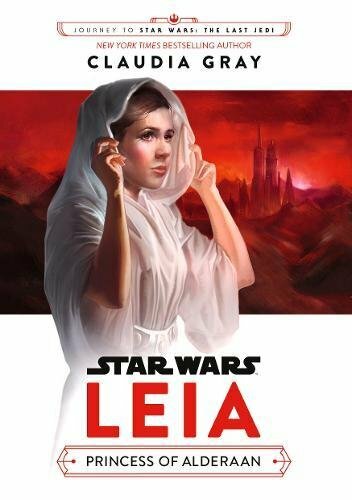 Aged sixteen, the story begins for Leia on a warm and positive note within the beautiful and peaceful surroundings of her home of Alderaan, as the beloved young Princess takes the traditional time of age vows in readiness to accept her ultimate positioning as the next benevolent and inspiring Queen of her people. 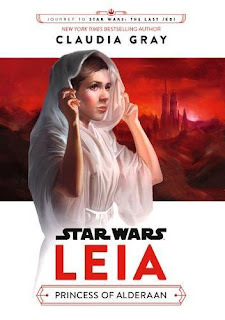 The author brings affectionate depth to the character's genesis, effectively weaving the elements together for a memorable and well realized portrait of a young Leia, keeping her early years in continuity with the princess and rebel leader she will become by the time of A New Hope. 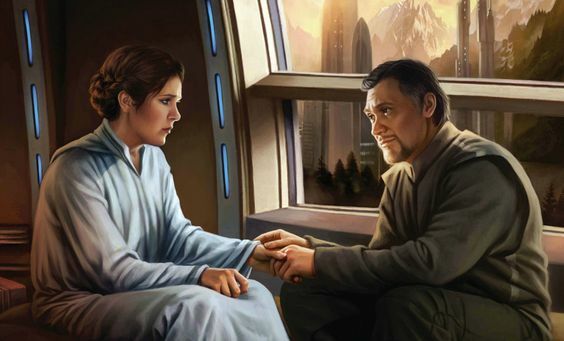 Worrying times on Alderaan for Leia and Bail Organa. Art by Chris Trevas. 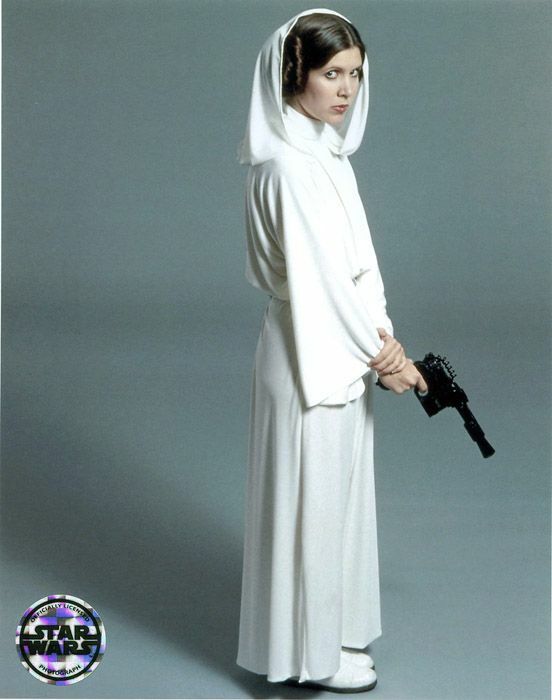 And in Princess of Alderaan, Leia Organa is certainly young. Very young. She's impressionable, bold, daring, spiky and imaginative-her heart full of passionate neediness to make her parents happy, and genetically hardwired to help and aide her people and the many imperiled across the galaxy by the longstanding dominions of the Galactic Empire. The gusty and instinctive side of Leia we all enjoy may shine through on the outside, but on the inside, however, she still has many of the doubts, insecurities, and worries that any normal sixteen year old would have. even with her privileged royal status. Fallibilities that show on her whilst on the brink of entering womanhood, though with the supportive comfort of having the most dedicated, loyal and loving adopted parents that she could ever wish for In Queen Breha and Viceroy Bail Organa. Helping her father in his diplomatic work, going back and forth across the galaxy and particularly cultivating her skills from political offices on Coruscant, Leia soon enters the start of her Apprentice Legislature career within the Galactic Senate, whilst finally let off the leash in being able to start doing work on her own that will surely benefit the poorer and less fortunate member worlds within the Empire, many of whom have already had their fates decided for the worst in the prior aftermath of The Clone Wars. Her first solo mission, under the watch and protection of loyal Captain Antilles aboard the Tantive IV cruiser, takes us to the planet Wobani, where her ingenuity and quick-thinking to save and relocate some of its withering populace, working within the tight restrictions prior imposed by the Emperor, quickly establishes her reputation, to be loathed by the irritated Imperials unable to act against her whilst Alderaan wields some political influence inside the Imperial Senate. With this starting point it won't be long before the Princess becomes legendary and exemplified for her "mercy missions". With such maneuverings, even her colleagues and soon friends in the legislature will start feeling a little exhausted by her noble and compassionate efforts. 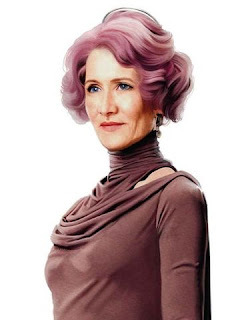 Undercover in her duty to the Rebellion. At the same time that Leia is fully seeing the effects of Palpatine's rule and the heavy bullying of his legions of commanders and troopers, the first hints of the Rebel Alliance's attacks on the Empire are now beginning to pique her curiosity, and just as she is starting to feel anxious and unsettled about her parents, that they seem more distant and preoccupied with outer duties of which she knows nothing about. A mysterious situation that soon changes with that early work on Wobani, and Leia's personal investigative discoveries about why her parents have seemingly ignored her. Once revealed, she cannot resist the urge, the calling in her heart, to aid them wherever she can, despite their paternal worries and early protestations. But with the burden pressures and emotional isolation of her family secrets, and not being able to tell anyone else, the risks to life-the death of innocents and the potential discovery of her parents involvement- all too great, how long can she keep a bold front and not feel the need to confide in someone herself? Amilyn Holdo, as she'll be seen by the time of The Last Jedi. Queen Breha of Alderaan gets a fine showcasing in the book. There's some nice cameos from the likes of Rebel heroes-to-be like Mon Mothma, two certain droids, a mention here and there of Saw Gerrera and his trouble-causing partisans, and early spars with the cruel Governor Tarkin, already suspicious of the Organa family's associations. Planet visitations old and new are an integral part of the story, plus another vital link to The Last Jedi with the new/old world of salt and red core that is Crait. Even the Naboo system gets a welcome look-in decades after the prequels- in her visit there, surely the closest that Leia will ever get to seeing her original secret heritage at that point (but never knowing it), she'll meet its current beleaguered queen, as well as an intriguing cameo from a former patriot hero linked to EPISODE I - all of which is nicely handled.